As commercial fleet managers struggle to balance cost and productivity, industry leaders are faced with unique challenges. Rising operations costs, driver safety, and repair truck availability are some of the biggest challenges facing commercial fleet managers. Commercial truck service centers like STTC are helping fleet managers combat these problems by providing them with accessible and affordable roadside service when they need it most. 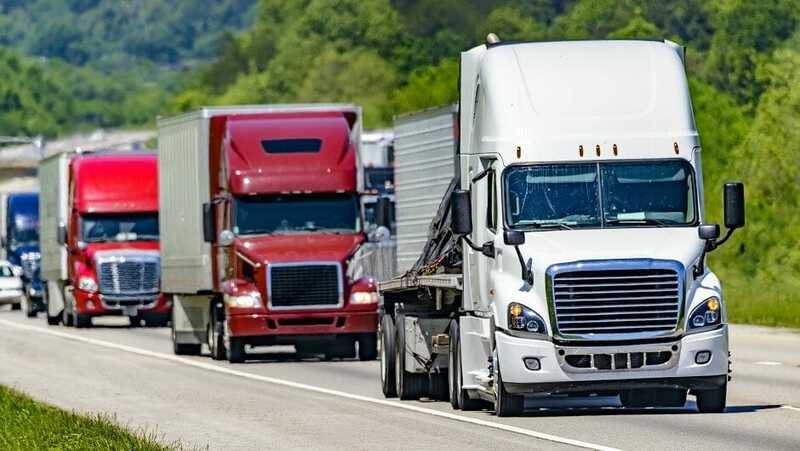 Increased prices for fuel, replacement and retread commercial truck tires, compliance with new federal regulations, and routine maintenance and repairs are making it more difficult for managers to keep up with operational costs. Not only does the rise in overall costs make it more expensive to stay in business, but the financial strain sometimes causes managers to extend replacement cycling. Doing so has long-term consequences that can actually increase spending overall as repairs inevitably become more complex due to extended operation. One way fleet managers can reduce the impact of rising operations costs is by partnering with an emergency roadside service. Not only can they perform your in-shop preventative and planned maintenance, STTC’s 24/7 roadside assistance team includes over 50 commercial truck tire service locations, and their 8-state East Coast coverage area ensures your fleet route always has access to our TIA-certified tire technicians. Distracted driving, driver fatigue, and mechanical malfunctions are just some of the factors that lead to preventable accidents. While distracted driving is the number one reason for preventable accidents, it’s arguable that changing order-to-delivery expectations are increasing the pressure placed on drivers to meet deadlines, sacrificing self-care and safe driving practices for a boon to their bottom line. When an accident happens to one of your drivers, make sure you’re prepared by partnering with a competent roadside assistance provider. The right emergency service can help reduce accident-related costs by having expert technicians readily available to assess and repair the damage, rather than dealing with higher prices from multiple vendors. Frequently pushed back production dates make adding newer, better trucks to the fleet both unpredictable and unmanageable. This also increases the strain on maintenance and repair costs as commercial fleet managers are forced to leave trucks in operation for longer periods of time. While there’s little that can be done about moving up production dates for quicker and better truck availability, having a roadside assistance team ready can go a long way in solving commonly occurring mechanical issues without breaking your budget. STTC knows the leading reasons for truck breakdowns and has expert technicians available to solve the problem when you need them most. Commercial fleet managers can reduce the impact of these challenges by implementing a preventive maintenance routine and partnering with an emergency roadside service. STTC’s TIA-certified commercial truck tire technicians and roadside service professionals can give your fleet the help they need to get back on the road quickly and safely. STTC places a significant value on our emergency response service providing one of the fastest response times in the industry across the Northeast. National account pricing makes STTC both accessible and affordable, so you can enjoy better operations without breaking the bank. Contact the professionals at STTC today to see how emergency roadside service can help your fleet.